A perfect tour for cruisers on ships docking in Naples for fewer hours than usual. 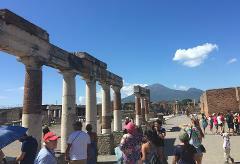 It gives you quality time visiting Pompeii and Sorrento, being back at cruise port by 15.00. Ideal especially for NCL Jade & NCL Spirit ships in 2019. EXCLUSIVE! Maximum of 16-23 participants. Guaranteed Full-Service Tour upon Booking! No wait list required! Click here for detailed tour description. 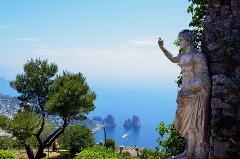 RIch overview of the Island of Capri, discovering the secrets of this unique jewel in an intensive day trip that also includes Anacapri and Blue Grotto by private shared bus transportation and authorized boat for an amazing experience. Guaranteed Full-Service Tour upon Booking! NO wait list required! Click here for detailed tour description.